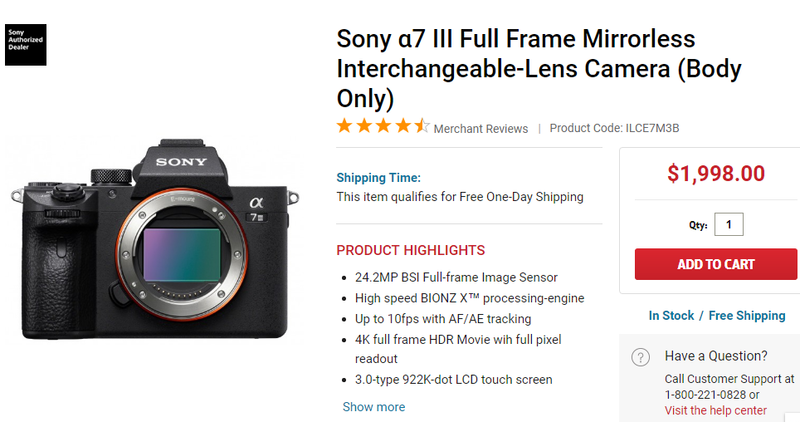 Sony a7 III Finally In Stock at FocusCamera! Good News!!! The newly announced Sony Alpha a7 III is finally in stock at FocusCamera! This new mirrorless camera is sold out of stock in most US stores: Amazon/ B&H/ Adorama. Sony A7 III to be in Stock in a Few Days! Good News!!! The newly announced Sony Alpha a7 III Body will be in stock at Adorama in a few days! B&H will start shipping on September 20, 2018. It is still temporarily out of stock at Amazon! 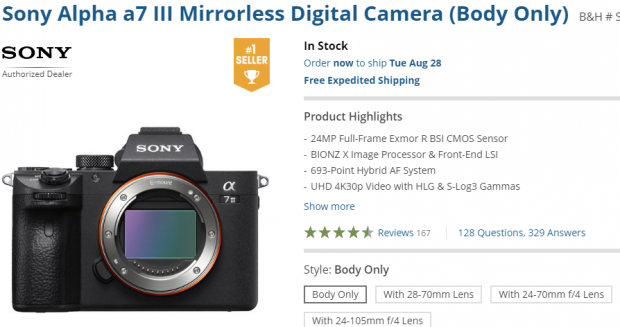 Sony a7 III Finally In Stock at B&H! Super Hot!!! The newly announced Sony Alpha a7 III Body is now finally in stock and shipping at B&H. You can order now to ship on Tuesday August 28. It is still temporarily out of stock at Amazon! Super Hot!!! The newly announced Sony Alpha a7 III with 28-70mm lens kit is now finally in stock and shipping at Adorama. It is in LOW STOCK. Order ASAP before it is sold out again. Sony A7 III Body in Stock at FocusCamera! Good News!!! The newly announced Sony Alpha a7 III is now in stock at FocusCamera! This new mirrorless camera is sold out of stock in most US stores: Amazon/ B&H/ Adorama. FocusCamera is Sony authorized dealer. You should order ASAP before it is sold out. 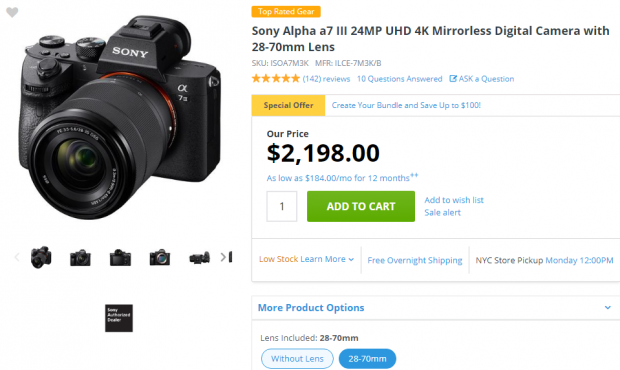 Sony a7 III Kit now In Stock at Adorama ! The new Sony a7 III with 28-70mm lens kit is now finally in stock and shipping at Adorama. Order ASAP before it is sold out again. Sony A7 III Now in Stock at BuyDig (Only A Few Left)! Good News!!! 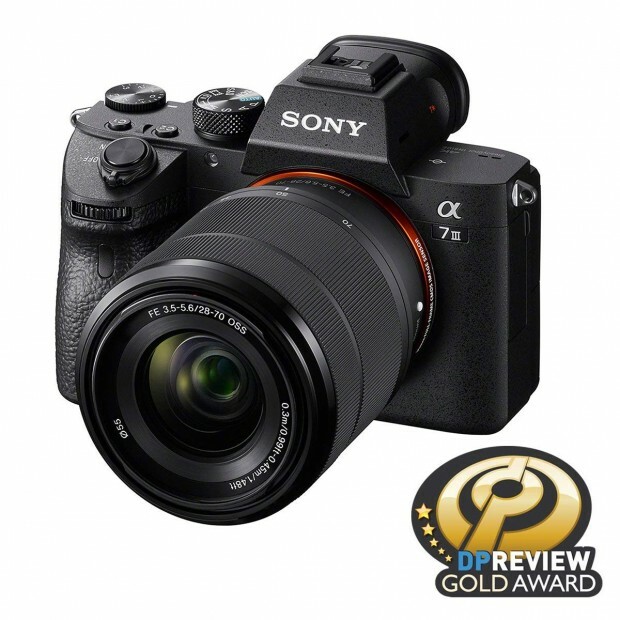 The newly announced Sony Alpha a7 III is now in stock at BuyDig! There are only a few left! This new mirrorless camera is so wanted that you will find it out of stock in most US stores: Amazon/ B&H/ Adorama. Good News!!! The newly announced Sony Alpha a7 III is now in stock at FocusCamera! Currently, this new mirrorless camera is out of stock in most US stores: Amazon/ B&H/ Adorama.